When it comes to buying furniture in Columbus Ohio this often means buying patio furniture. Ohio is fortunate to have some of the most spectacular weather for spring, summer and fall, which makes it ideal for enjoying your outdoor space. This certainly makes up for being locked inside a couple of months during those Ohio winters. 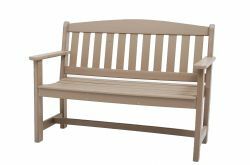 All About the Wood — Wood is your best choice for durable, high quality and long lasting patio furniture pieces. However not just any old wood will do. Buying furniture made from quality American hardwoods that are treated or stained will ensure that you get furniture worthy of your investment. Not to mention this will help prolong the life of your outdoor furniture. At Amish Originals Furniture Co., we offer some of the most stunning wood choices including oak, cherry, maple and hickory, just to name a few. Shop local — Aside from the fact that the trend now is to shop local and support your community, there are other reasons you should buy furniture locally. For one thing you should see the pieces and not just pretty images on the internet. This also gives you a chance to get exact measurements and make sure everything will fit the way you want it to in your outdoor space. Also, if you have any problems, you have a better chance working it out if you shop local. Besides, you should be doing the “sit test” before buying furniture for your outdoor space, which can only be done when you shop local. Think weather and storage — Another reason wood makes an excellent choice for patio furnishings is how well it holds up under the elements. Not to mention if you plan to store your outdoor furniture in the winter, you need something that will still be in the same pristine condition when you take it out as it was when you stored it. Wood is ideal for extreme weather conditions but also holds up nicely when stored properly. There are, of course, other things to consider. For one thing, you want to have enough seating for the family but also plan for possible gatherings with family and friends. This should also include having some seating for the little ones as well. The comfort of your patio furniture is also something to consider. Always do the sit test, and if you love the look but not the feel consider adding cushions to make them usable. Buying furniture you love the look of but not the feel means you will have decor that serves no function. The whole reason for adding outdoor furniture is to make your patio a useable space in your home. Buying patio furniture means making the best choices so your final result is functional and fabulous looking. Let our expert staff at Amish Originals Furniture Co. help you find what you need.